Though the wait has been interminably long, we finally have a list of official dates on which Bethesda Softworks will release the three extant downloadable content additions for The Elder Scrolls V: Skyrim to Sony’s PlayStation 3 console. 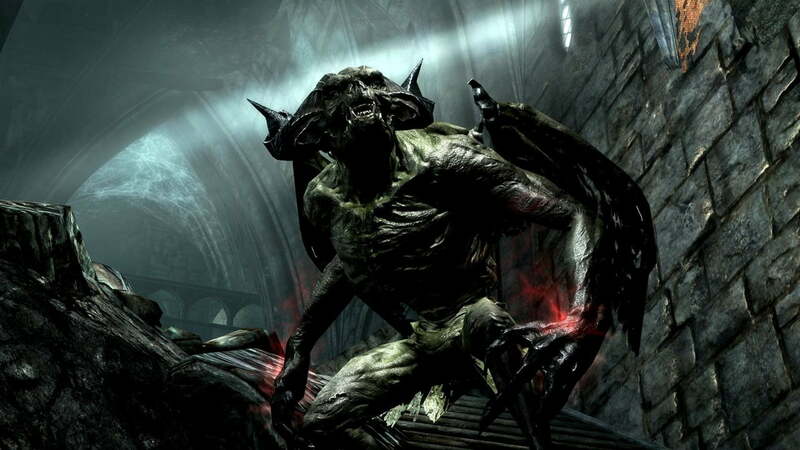 February 12 marks the debut of the Dragonborn DLC, February 19 sees the arrival of the Hearthfire DLC, and the Dawnguard expansion makes its PlayStation 3 debut on February 26. As we reported previously, for their first week of availability each of these DLC packs will be discounted by 50-percent. As a result, Dawnguard and Dragonborn will set you back a mere $10 each, while Hearthfire will cost only $2.50. Those figures double after the initial week, so if you’re hoping to pick up any of these additions you should plan to do so shortly after they appear on the Sony Entertainment Network. Sadly, those of you who live in England, Australia, or any place that isn’t North America may have to wait a bit longer to enjoy these DLC packs on their PlayStation 3 consoles. The above release schedule only applies to countries on that particular continent, and so far there’s no word on when (or if) these DLC offerings will make the leap across the Atlantic, Pacific, or whichever other body of water lies between your home and the United States. Presumably Bethesda Softworks would make every effort to release the DLC as rapidly as possible to all points on the map – European money spends as well as anyone else’s – but that assumes the company has that ability and sees a lucrative opportunity in releasing Skyrim’s extra content in other territories. As for what PS3 owners can expect from each of the DLC packs, the short answer is vampirism, crossbows, dragon priests, ancient evil, and the ability to build your own house. Dawnguard drops players into the middle of a war between a group of vampires and those who hunt them. Hearthfire offers the opportunity to adopt children and construct your own homestead. Dragonborn, the best of the current DLC offerings, allows players to ride dragons (though this feature is far less interesting than you’d expect) and confront the first person to earn the title of “Dragonborn.” All told you’re looking at roughly another dozen hours of playtime (much more if you opt to explore every nook and cranny) from these DLC packs, so those of you madly in love with Skyrim ought to be salivating right about now. Unless, that is, the last 14 months sans downloadable content additions has completely drained your desire to ever again explore the world of Tamriel. Just because the PlayStation 4 is a remarkable system doesn't mean that it's immune to the occasional hiccup. Lucky for you, we've vetted some of the bigger PS4 problems and found solutions for whatever might ail you.